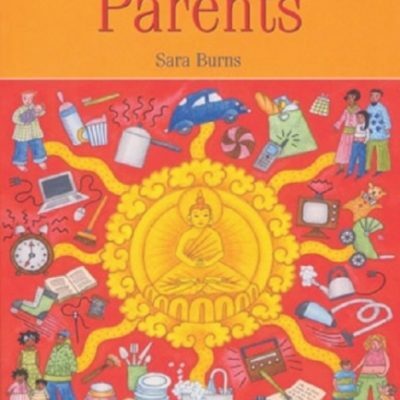 When her son was born in 1994, Sara Burns (now Karunagita) continued to carve out time from her life as a working parent for meditation, retreats and Buddhist study. But when her daughter was born two years later she realised that constant yearning for time out didnâ€™t work and the only way forward was to bring Buddhist spiritual practice into life. That was a valuable lesson – that our spiritual selves are not separate – and the start of an on-going exploration that gave rise to A Path for Parents in 2007. Researching and writing her first book helped Sara reflect on and articulate how to learn from raising children, including insights into unconditional love, having to surrender our own likes and dislikes and not being able to control our lives. Also the challenges, including lack of time, feeling pulled in different directions, expectations and sense of failure. And how we can really live and make the most of now, using tools including the three-minute playground meditations and reminders on the fridge. Sara lives in North London with her now teenage children and is a Director of Triangle Consulting Social Enterprise Ltd www.triangleconsulting.co.uk and co-developer of a popular tool the Outcomes Star www.outcomesstar.org.uk. 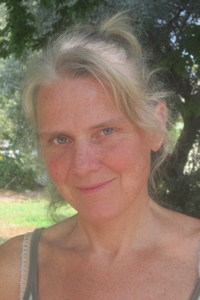 She also runs eight-week Mindfulness Based Cognitive Therapy for Stress courses and mindfulness days at the North London Buddhist Centre as well as co-leading some retreats. She constantly uses the approaches in her book and which she teaches in a busy lifestyle and living with the joys and challenges of parenting teenagers.